Shopping online is great. I know we’re biased, but being able to choose what you want to buy from the comfort of your sofa and then having it delivered to your front door makes life very easy. However, there’s one part of the real-life shopping experience that’s really hard to replicate – chatting with folks in the shop. Those of you who’ve visited our Covent Garden shop will know that having staff who know drinks like the backs of their collective hands is key to a great shopping experience. While we have our Twitter account, Facebook page and customer service portal, and talk to loads of customers every day on the phone and online, we’re constantly striving to improve the experience and give more personal service. 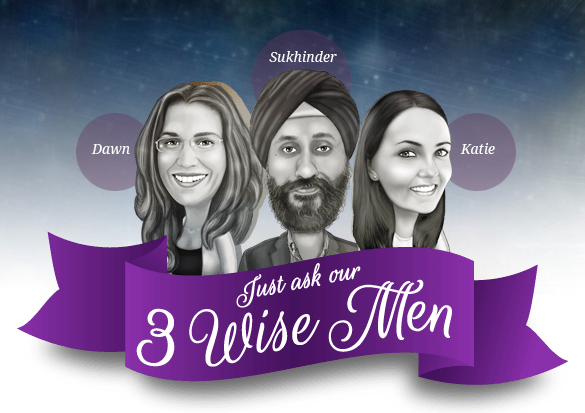 This Christmas, we’re trying something new – please welcome the Three Wise Men. 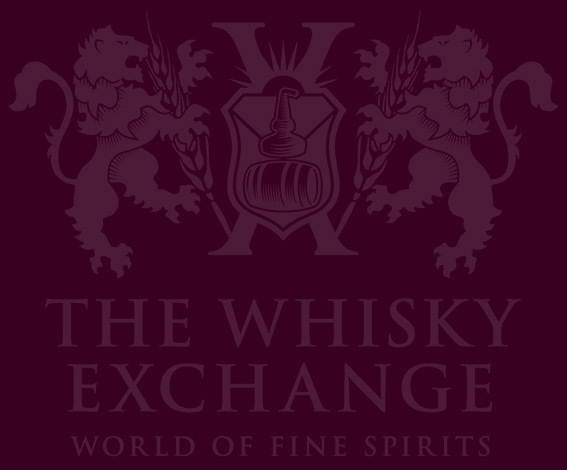 Sukhinder Singh is the co-founder of The Whisky Exchange. A long-time whisky collector, he and his brother started the company in 1999 after years of helping their parents manage the family business – an off-licence. What Sukhinder doesn’t know about whisky and spirits is not worth knowing. Dawn Davies is our buyer, the gatekeeper of The Whisky Exchange’s shelves. 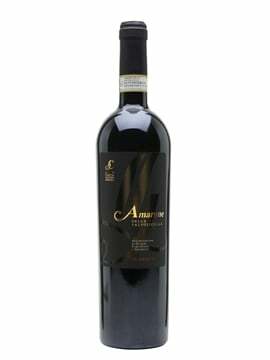 One of only 350 Masters of Wine in the world, her expertise is much wider than just things made from grapes. As Selfridges’ wine and spirits buyer and as a sommelier before that, she knows the world of drinks inside out. Katie Williams is the latest addition to the buying team. Also a Selfridges alumnus, she focuses on the spirits side of things, with occasional forays into the world of wine and Champagne, and has brought her knowledge to TWE to help us expand our range and find new and interesting things to drink. Why should you care about their credentials? Because they are here to answer your drinks questions. Whether you want to know what to buy, how to serve a drink, what to eat when drinking, what a label means or anything else connected to the wonderful world of beverages, drop us a line and one of the Wise Men will get back to you with an answer. The most useful questions will pop up on the Three Wise Men page, so that everyone can benefit – it’s not every day you get to ask people with this amount of drinks knowledge for some help. I’m interested in exploring Armagnac. As a smoky whisky drinker can you recommend a good place to start please? Dawn says Armagnac is a perfect place to start as a smoky whisky drinker because it has a bit more of a rustic character than Cognac, so carries more weight on the palate – good ones to start with are Chateau de Lacquy VSOP or Castarede XO if you want something a bit more premium. What’s a good digestif to serve my guests? Katie says Sloe gin is ideal, because it’s rich and fruity, with no burn. Or try an XO Cognac or Armagnac – I’ve never known anyone refuse a glass! I’m planning to serve oysters before the main course – what should I serve with them? Sukhinder says Rather than wine or Champagne, try Talisker 25 Year Old. Pour a few drops on each oyster, too – amazing! What temperature should I serve my wine at? Dawn says Most people serve their white wine too cold and their red wine too warm, so I would take whites out of the fridge at least 30 minutes before serving. Most reds benefit from 10 minutes in the fridge, too. 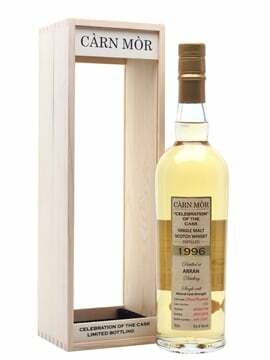 In blended whisky, does the age statement also refer to the grain component in the blend? For example if a blend is sold as 12 yo, does the grain whisky in it also have to be of that age or older? Sukhinder says To carry an age statement, the youngest whisky in the blend must have been aged for that time. 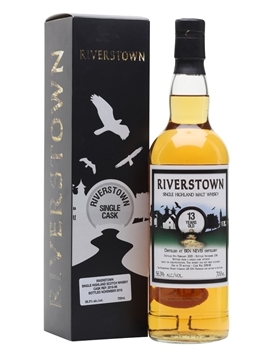 So in a 12-year-old blend, both the malt and the grain elements are at least 12 years old. However, there may be older whiskies in the blend, too. So, if you have any questions, don’t hesitate: ask the Three Wise Men.